South Africa would be liable for any accident transporting nuclear material from Vladivostok to , for example, Qatar. By Melanie Gosling for GROUNDUP. A nuclear agreement with Russia has far-reaching consequences for the budget, the Western Cape High Court heard on Friday, as it places all liability for a nuclear accident on South Africa, while indemnifying Russia completely. David Unterhalter, SC, appearing for Earthlife Africa and the Southern African Faith Communities’ Environmental Institute, who are challenging government’s nuclear procurement process in court, said liability for nuclear accidents fell on South Africa even if it occurred outside the country. If the Russian company building the proposed eight new nuclear power stations had an accident while transporting nuclear material from Vladivostok to Qatar, for instance, causing extensive damage, the Russian inter-governmental agreement made South Africa liable for what could be “massive” costs. “South Africa bears the burden under the indemnity clause. A country making this kind of offer would have to make very special provision for this in its budget,” Unterhalter said. Such liability was not even consistent with the Vienna Convention on liability for nuclear damage, he said. “So we have gone very far in seeming to court Russia and to say: ‘We will pay and we will indemnify’,” Unterhalter said. The court is not being asked to decide on the merits of the Russian nuclear agreement, as this would be beyond its powers. However, the contents are relevant as the court is being asked to decide whether an international agreement of this nature should first have been tabled in Parliament for approval, particularly because of the massive financial implications. The litigants argue that tabling the agreement without Parliamentary approval was unlawful as it did not comply with the Constitution and the agreement should be set aside. Counsel for Minister of Energy Tina Joematt-Pettersson, who tabled the Russian agreement, argued that it did not need to come before Parliament, nor was there a need to allow the public to make representations. This was because it fitted into the category of agreements between countries that dealt with “technical, administrative or executive” matters, which did not have extra-budgetary consequences. Marius Oosthuizen, SC, for the government, argued that the minister’s tabling of it under this category therefore did not contradict constitutional requirements. One of the two presiding judges, ED Baartman, noted that a government guideline indicated that international agreements which dealt with minor, everyday issues did not need parliamentary approval. “Are you saying the Russian agreement is a minor, everyday issue?” she asked. Oosthuizen replied that the Russian agreement would not constitute something that was high on the South African agenda as it was about co-operation between governments on an executive level. The litigants are also asking the court to set aside the minister’s “determinations”, made under the Electricity Regulation Act, that South Africa needed 9600MW of new nuclear power. One was made in 2013, where the Department of Energy was the body that would buy the nuclear power, and the other in 2016 that made Eskom the procurer. “Both are infected with administrative error and neither should survive,” Unterhalter said. The court heard submissions on whether the minister’s decisions were administrative in nature – which meant they could be reviewed and set aside – or whether they were policy decisions, which could not be. One of the tests in deciding whether a decision was administrative was whether it had consequences and whether it affected anyone. 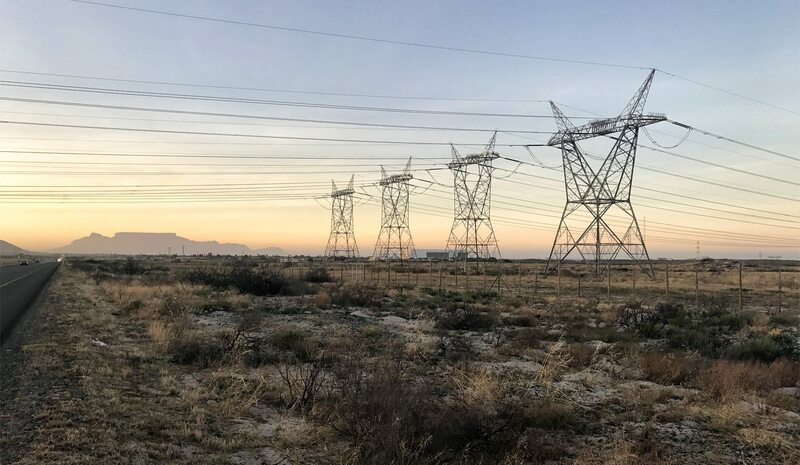 Oosthuizen argued the decision to determine that South Africa needed 9600MW of nuclear power had not affected anyone’s rights, but had merely imposed an obligation on the National Energy Regulator or SA (Nersa) which had the statutory duty to issue electricity-generating licences. Analysis: Can minister make decision costing R1 trillion without consulting anyone?